The gold-mining stocks' usual volatility has proven outsized so far this year, spooking investors. A fast initial surge in a new upleg was soon fully reversed by a sharp major correction, which spawned much bearish sentiment. That combined with the great distraction from the Trumphoria stock-market rally has left gold stocks unloved and overlooked. But their outlook is very bullish, and major upside breakouts near. It's hard to find bargains in today's extreme stock markets. They've been radically distorted by the post-election euphoria centered on universal hopes for big tax cuts soon. Nearly every sector has been bid up to dizzying valuations. Except gold stocks, which everyone still hates. They may very well be the last remaining contrarian sector in these crazy markets, and thus a great buying opportunity for smart traders. Gold stocks have been left behind by the wild Trumphoria stock-market rally over the past 5 months. As of the middle of this week, the benchmark S&P 500 stock index is up 10.0% since Election Day. But the gold stocks as measured by their flagship HUI index are down 1.1% over that span. The gold stocks have really suffered since the election, which explains the stubbornly-bearish sentiment plaguing them today. But perspective is everything in the markets, and that post-election snapshot is very misleading. So far in 2017, the HUI has rallied 12.5% to easily best the S&P 500's 5.1% gain. And despite the post-election gold-stock carnage, the HUI still rocketed 64.0% higher in full-year 2016! That trounced the S&P 500's mere 9.5% gain. Gold stocks stealthily remain one of the top-performing sectors in all the stock markets. Their operating fundamentals are still strong and their usual big spring rally is already underway, which will likely yield big gains for contrarians. Yet virtually no one cares! With general-stock euphoria running rampant, there's little investment demand for gold. This unique asset is an anti-stock trade tending to move counter to stock markets. Few investors seek prudent portfolio diversification when complacency is stellar. Given the gold-mining stocks' blistering gains in the past, the current total lack of interest even among contrarians is stunning. But the record-shattering post-election Trumphoria stock-market rally has been exceedingly distracting. It's literally unprecedented on many fronts, bewitching investors into forgetting stock markets rise and fall. The resulting stocks-to-the-moon psychology has withered contrarian trading. So gold-stock sentiment is absolutely dismal today, exceedingly bearish. I've been intensely studying and actively trading this sector for decades. That includes the last 17 years in the financial-newsletter business, where I'm blessed with tons of sentiment feedback via both e-mails and hard newsletter sales. Gold-stock psychology is so rotten today that it feels much like what I've witnessed at past major secular lows. That's crazy, as this week the HUI is still 103.6% higher from its last major secular low in January 2016. If any other sector in all the stock markets had doubled in less than 15 months, it would be celebrated and popular. Not gold stocks! While sentiment is ethereal and impossible to directly measure, there are all kinds of indicators implying how bad it is. One example is capital volume in the leading gold-stock ETF. The world's most-popular gold-stock trading vehicle is the GDX VanEck Vectors Gold Miners ETF. As of this week, its net assets were running 52.6x larger than its next-largest 1x-long major-gold-miners-ETF competitor. So when investors and speculators are interested in gold stocks, that's naturally reflected in GDX trading activity. And it has just collapsed this year, reflecting waning interest in this contrarian sector. At best last year, GDX skyrocketed 151.2% higher in just 6.4 months! Such a volatile price range leaves normal raw daily trading volume much less comparable over time. So I prefer to use a simple construct called capital volumen. It multiplies the number of shares traded each day by that day's share Price. This effectively normalizes volume in price terms, revealing how much capital is moving in gold stocks via GDX. This chart looks at GDX capital volume over the past year and a quarter, which encompasses the mighty new bull market in gold stocks. GDX's share price in blue is superimposed over raw daily capital volume in red, which can vary wildly from day to day. So capital volume's 21-day moving average is included in yellow to smooth out this erratic data. Calendar months average 21 trading days, so it's a one-month smoothing. A year ago in January, the gold stocks slumped to a fundamentally-absurd 13.5-year secular low in HUI terms. From those depths of despair, a major new gold-stock bull was born. While gold-stock sentiment isn't quite as epically bearish today as it was at that deep low, it's surprisingly not a whole heck of a lot better! As usual soon after prevailing sentiment waxes too bearish, gold stocks exploded higher in early 2016. Note above those massive gains evident in GDX were fueled by a massive surge in this leading sector ETF's capital volume. It nearly tripled from a practically-nonexistent $0.7b per day to $2.0b in 21dma terms, and then established a new high trading range. For the rest of 2016 after that, GDX's capital volume settled into that new bull trading range of $1.5b to $2.2b when smoothed using that one-month average. This consistently-high capital volume reflected growing investor and speculator interest in this red-hot gold-stock sector. Capital generally migrates to where it is treated well, and the gold-mining stocks were providing fantastic stock-market-dominating returns. There were naturally healthy sharp selloffs from time to time to rebalance sentiment, which spiked volume. But even ex-selloffs, capital volume stayed high. This strong new gold-stock bull was looking great all the way into late September. There was a major correction in late August, but gold stocks had subsequently been grinding higher for nearly 5 weeks. Sentiment remained fairly bullish after such an amazing early-bull run, until an unfortunate series of three low-probability selloffs totally changed how traders perceived gold stocks. Budding love turned to hate. Back in early October, the gold miners' stocks plummeted in a brutal and rare mass-stopping event that was driven by gold-futures stops being run. The gold stocks recovered sharply after that, but were yet again improbably slammed after Trump won the election. Before that election, gold had caught a bid every time Trump seemed to climb in the polls! But the resulting Trumphoria killed gold investment demand. Then finally in mid-December gold stocks plunged yet again on a more-hawkish-than-expected Fed outlook for rate hikes in 2017. As this sector's strong recoveries after its major late-summer correction and that early-October mass stopping proved, traders' sentiment could weather a couple of heavy punches. But three in a row, four if that summer correction is counted, was too much to bear resulting in a knockout. So gold-stock interest increasingly waned on this exceedingly-unlikely and absurdly-unlucky series of improbable selling events. That was evident in the relentlessly-declining GDX capital volume. By late December at a major gold-stock low after GDX had cratered 39.4% in just over 4 months, this key ETF's capital volume had retreated all the way back to bull-trading-range support. That was merely $1.5b per day. As gold stocks rallied sharply out of those mid-December-2016 lows to begin a major new upleg, traders' interest should've recovered rapidly given this sector's market-leading performance last year. But after a couple weeks of capital volume mean reverting higher, it started slipping again. Even as the gold stocks kept rallying on balance between mid-January and early-February 2017, GDX capital volume collapsed. Despite GDX soaring 34.6% in less than 2 months, which was far better than other sectors buoyed by all the Trumphoria, capital volume fell under its bull-market support. By late February it had crumbled below $1.3b on a 21dma basis! Those were the worst levels in a year, since the early weeks of gold stocks' young new bull when it still remained unproven. This week GDX capital volume slumped back near $1.3b. Investors and speculators simply aren't interested in gold stocks. This trend began in that crazy series of major selloffs since last summer, which is understandable. But to see it intensify despite a sharp gold-stock rally in early 2017 is unbelievable. Normally capital volume surges to drive a young new upleg like we saw in early 2016. But early this year capital volume continued to wane despite a strong new sector upleg. Again there's little doubt the Trumphoria is to blame. As the stock markets surged after the election on big-tax-cuts-soon hopes that look increasingly Pollyannaish, gold demand cratered. Stock investors and gold-futures speculators alike dumped gold at dizzying rates, hammering it and its miners' stocks way lower. With general stock markets hitting record after record and drenched in euphoria, no one wanted gold. The resulting anomalously-bearish psychology has created an incredible opportunity. Sooner or later, these lofty stock markets will inevitably roll over into their long-overdue bear. That will quickly shock traders out of their zombified stocks-to-the-moon stupor. Once investors finally realize that this time isn't different despite the Trumphoria, gold investment demand for prudent portfolio diversification will surge again. That will entice back the missing-in-action gold-stock investors. As capital floods back into this starved sector, gold-stock prices will explode higher again. Always throughout all markets, excessively-bearish sentiment is a very-bullish omen. It indicates the sellers have already sold, leaving only buyers eager to return on the right catalyst. Bearish sentiment both births and fuels major new uplegs yielding massive gains. And gold stocks' technicals very much back this bullish outlook based on abnormally-bearish sentiment. This next chart shifts back to that flagship HUI gold-stock index, which is closely mirrored by GDX. The gold stocks are on the verge of a few major breakouts that will likely unleash serious buying. And that of course will quickly turn sentiment around, attracting in more traders which will accelerate this sector's gains. Because the HUI has far less component stocks than GDX, this sector index's moves are bigger than that ETF's. In HUI terms the gold stocks nearly tripled in the first half of last year with a 182.2% gain! After such a rousing performance for a new bull's first upleg, traders should love this wealth-multiplying sector. But they largely gave up on it after that unfortunate series of improbable selloffs late last year. Those ultimately pummeled the HUI 42.5% lower in just over 4 months. Provocatively the gold stocks bottomed in mid-December the day after the Fed's second rate hike in 10.5 years. That simply mirrored and amplified gold's action, since gold's price is the overwhelmingly-dominant driver of gold-mining profits. Unfortunately gold's and thus gold-stocks' fortunes are heavily intertwined with Fed actions today. Gold-futures speculators, who wield outsized influence on gold prices, fervently believe higher interest rates spell doom for gold. This notion is supremely irrational though, as history proves gold thrives in Fed-rate-hike cycles! This metal's average gains during the exact spans of all 11 Fed-rate-hike cycles between 1971 and late 2015 ran 26.9%! That's an order of magnitude greater than the S&P 500's 2.8%. So it shouldn't be surprising the second upleg of gold stocks' young bull was born immediately after a hawkish Fed meeting in mid-December. 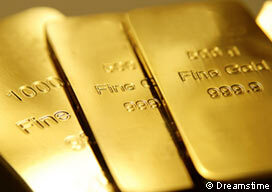 The gold stocks surged dramatically into early February, albeit on abnormally-low volumen. Then this sector corrected sharply into early March. That correction was largely driven by fears of an imminent Fed rate hike, as futures-implied Fed-rate-hike odds were soaring. The Fed won't risk surprising the markets with a rate hike and sparking major selloffs in both bonds and stocks. So it won't hike unless federal-funds futures imply 70%+ odds of a hike at any given meeting. Back in early February when the HUI hit upleg highs near 222, those odds for a mid-March hike were just 4%. But by the day the HUI bottomed in early March, those same odds had skyrocketed to a certain 91%! While gold stocks' 18.1% correction in a month was sharp, it wasn't unusual for this volatile sector. After that the gold stocks drifted near lows into the Fed's mid-March meeting. The Fed took advantage of the high rate-hike expectations to indeed hike. That finally confirmed a new rate-hike cycle is underway since December 2015, the 12th since 1971. Despite that irrationally-feared hike, gold and gold stocks surged. The Fed officials' outlook for total rate hikes in 2017 stayed unchanged at three, contrary to expectations among traders it would climb to four. So gold blasted 1.9% higher on Fed-rate-hike day, which motivated traders to aggressively buy gold stocks. That catapulted the HUI up 7.8%, and confirmed a new uptrend channel for this bull's second upleg. Realize this entire gold-stock bull has happened within a rate-hike cycle! From the day before its first rate hike in December 2015 to its third rate hike in March 2017, the HUI had soared 80.6% higher in just 15 months! That was driven by a parallel 15.1% gold rally over that same span. So this universal belief today that Fed rate hikes are bad news for gold and gold stocks is totally baseless. History, and even this current rate-hike cycle, prove the opposite. So don't fear Fed rate hikes! Since the gold stocks were jumpstarted on Fed Day a few weeks ago, they have mostly lingered around their key 50-day moving average. That's proven strong upper resistance for several weeks now. But just this week, the gold stocks as represented by the HUI finally managed to claw above this level. So it's not going to take much more rallying to drive a decisive 50dma breakout, which should ignite lots more buying. Love or hate technical analysis, countless big traders including hedge funds carefully watch technicals as part of a holistic trading approach. So breakouts above key resistance levels usually lead to new buying and strengthening upside momentum.Â This imminent 50dma breakout is likely to easily carry the HUI up to its next major resistance at its 200dma. That had halted the gold stocks' advance twice in February. 200-day moving averages are probably the most important in all of technical analysis. Stocks or sectors above their 200dmas are often considered to be in bulls, where buying begets more buying. So once the HUI decisively breaks above its 200dma again, even bigger funds are going to start chasing gold stocks. These professional traders will remember this sector's huge gains in 2016, and position for more this year. All this will drive one more major breakout that will really help shift gold-stock psychology back to bullish again. Within a month or two after that 200dma breakout depending on how fast gold stocks rally, they will drag the HUI's 50dma back above its 200dma. That's known as a Golden Cross, which is one of the most powerful indicators in technical analysis. Traders see them as signs major new bull markets are underway. So in addition to suffering exceedingly-bearish sentiment today which is actually super-bullish for this sector's near-term outlook, the gold stocks are on the verge of a series of major upside breakouts on the technical front. These two factors alone support aggressively buying gold stocks today ahead of this bull's second major upleg accelerating dramatically. But a couple more factors really amplify this bullishness. Gold and gold stocks have long enjoyed strong spring rallies, heavy seasonal buying between roughly mid-March to early June. The potency of these seasonal tailwinds is much greater when sentiment and technicals are also bullish. This is really an exceptional setup for a major spring rally this year. Last year, the HUI blasted 34.9% higher in this spring-rally span! Similar outsized gains this year wouldn't be surprising. The gold miners remain strong fundamentally too, fully justifying big fund buying in the coming months. In Q4'16, the elite gold miners of GDX reported average all-in sustaining costs of $875 per ounce. That was far below prevailing average gold prices of $1218, yielding healthy profits. In Q1'17, gold's average price modestly started mean reverting higher to $1220. So gold-mining profitability is still strong and growing. Thus the sentimental, technical, seasonal, and fundamental gold-stock stars are all aligned for a major acceleration of this young bull's second major upleg in the coming months. The smart investors and speculators are already positioned or buying now, before everyone else figures this out. By the time the gold stocks are much higher and excitement is mounting again, you'll be wishing you had bought in way earlier. While investors and speculators alike can certainly play gold stocks' accelerating upleg with the major ETFs like GDX, the best gains by far will be won in individual gold stocks with superior fundamentals. Their upside will trounce the ETFs', which are burdened by over-diversification and underperforming gold stocks. A carefully-handpicked portfolio of elite gold and silver miners will generate much-greater wealth creation. The bottom line is gold stocks are on the verge of major technical breakouts. The HUI is finally clawing over its 50dma after challenging it for weeks, with its 200dma now in its sights. Both breakouts should unleash big buying by technically-oriented funds. That coupled with abnormally-bearish sentiment as evidenced by very-low capital volume is exceptionally bullish for gold stocks over the coming months. Mix in spring's seasonal tailwinds and gold miners' continuing strong operating fundamentals, and we have real potential for one heck of a bull-market upleg. Gold investment demand, and therefore capital flowing into gold stocks, will only grow as Trumphoria inevitably fades. As stock traders realize big tax cuts aren't coming soon, these euphoric stock markets will roll over rekindling interest in gold and its miners.